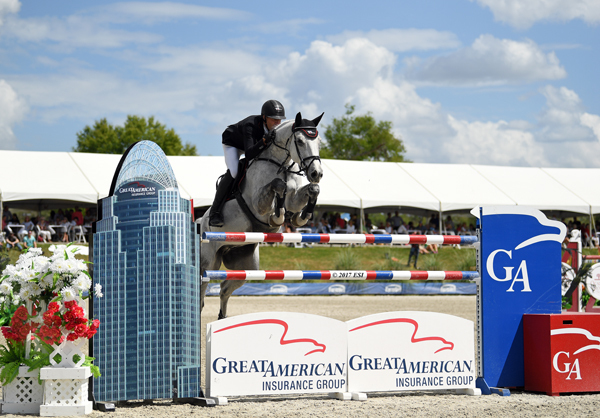 Ocala, FL (March 27, 2017): Spectators filed into the grandstand at HITS Post Time Farm to witness a world-class line-up of national and international riders battle for the blue in the fourth-annual Great American $1 Million Grand Prix, sponsored by Great American Insurance Group. 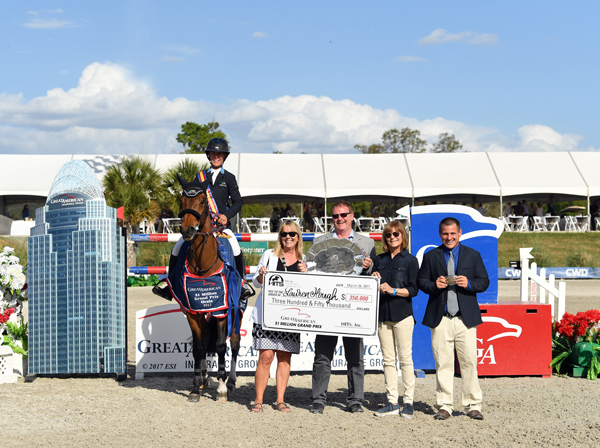 Just one week after the AIG $1 Million Grand Prix in Thermal, California, the richest prize purse in show jumping returned to the Horse Capital of the World in Ocala, Florida. 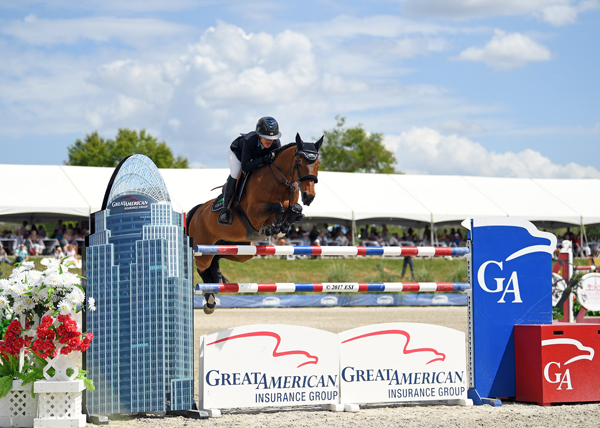 Lauren Hough and Ohlala on their way to a Great American $1 Million Grand Prix win. 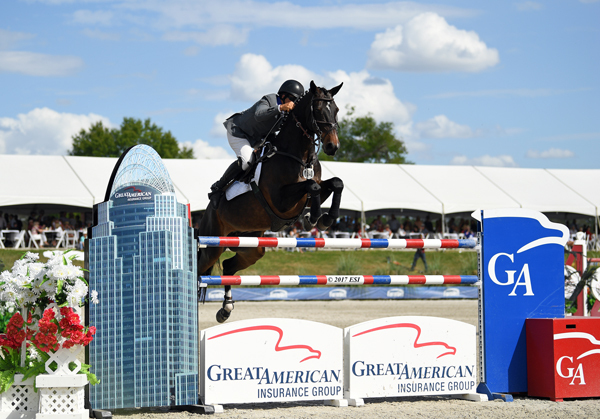 Lauren Hough and Ohlala winning the Great American $1 Million Grand Prix. Second place Aaron Vale and Finou 4. Third place Andre Thieme and Conthendrix. With the end of the HITS Ocala Winter Circuit, we are looking ahead to the HITS Saugerties Series! To download the digital HITS Saugerties Prize List, please visit HitsShows.com. Or signup to receive future prize lists via email, here.